Xtreme Ultra 1000 Calcium Sulfonate Grease is a high performance, extreme pressure grease with resistance to corrosive saltwater environments. 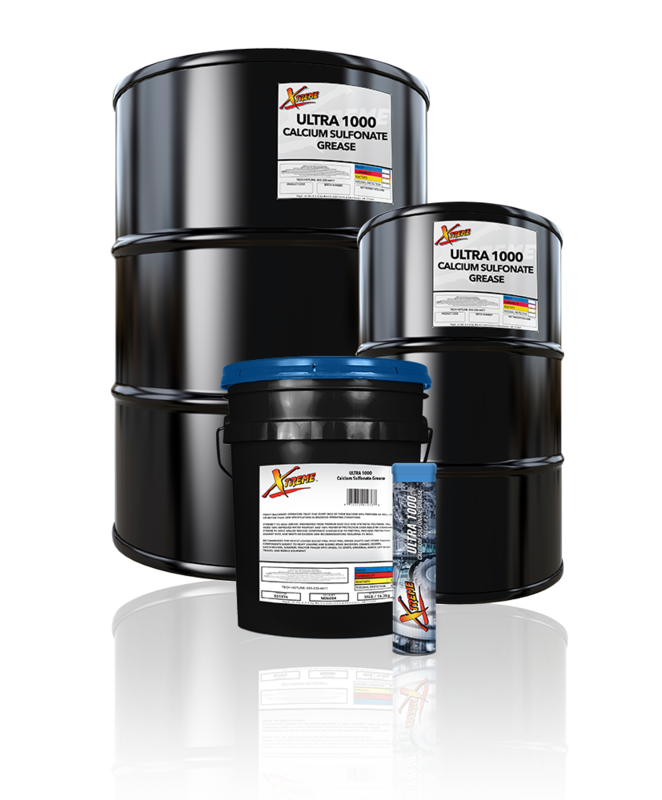 Xtreme Ultra 1000 Calcium Sulfonate Grease is crafted using calcium sulfonate thickeners that provide outstanding film strength to protect moving surfaces. This product is ideal for automotive use as well as extreme pressure applications in construction, mining, agricultural, logging, hauling, and other industries where a shear-stable, high load carrying, corrosion resistant grease is required.